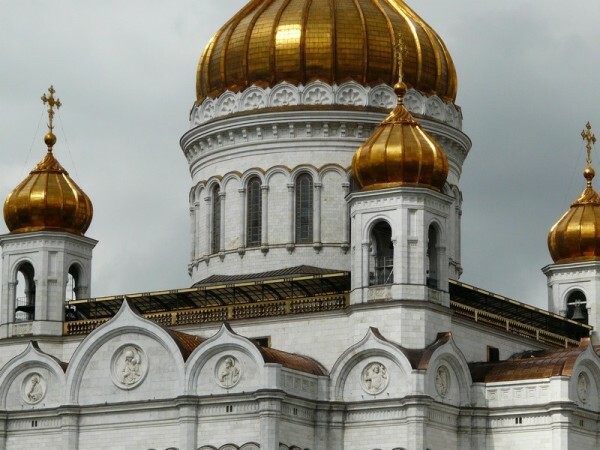 Moscow, July 3, Interfax - The Ukrainian Orthodox Church of the Moscow Patriarchate has denied an allegation that Patriarch Kirill of Moscow and All Russia is going to visit Ukraine, and branded it is as a "provocation." “The Ukrainian Orthodox Church assesses this untrue information as a deliberate provocation on the part of the leadership of the UOC-KP [Ukrainian Orthodox Church of the Kiev Patriarchate],” the UOC said in a statement. It was untrue information that the Holy Synod of the Ukrainian Orthodox Church planned to invite the patriarch to celebrations of the Day of the Baptism of Russia, which would allegedly have led to protests in Ukrainian society, because of which the visit would have had to be moved to Khersones in Crimea, where senior bishops of the Ukrainian Orthodox Church would have held an assembly and elected a new leader of the UOC, the statement said. “We regret that state officials such as Vladimir Yushkevich, director of the Department for Religious and Ethnic Affairs of the Ministry of Culture of Ukraine, base their public statements on such unverified and openly provocative information,” it said. “We believe that such statements bring tension both into public life and into denominational relations, and are assessed as interference in the internal affairs of the Church, something that is unacceptable conduct on the part of officials,” the Church said. “The official website of the UOC-KP is becoming a place for the publication of rumors, gossip, and unverified and provocative information that aims to bring artificial hostility and a schism into the Ukrainian Orthodox Church,” it said. “We believe that the information policy of the UOC-KP Press Center is by no means conducive to conciliation and dialogue, something that the UOC-KP is calling for so actively, and that de facto it is conductive to the opposite. One has the impression that one of the main objectives of the existence of that denomination is indiscriminate criticism of the Ukrainian Orthodox Church and everybody and everything connected with it,” the Church said.